Do you have past team or player photos, or maybe news about our alumni? Please send any appropriate photos, player facts and/or information to Rich Harwood at: . This includes professional accomplishments, designations, etc... We are proud of all our Warriors !! 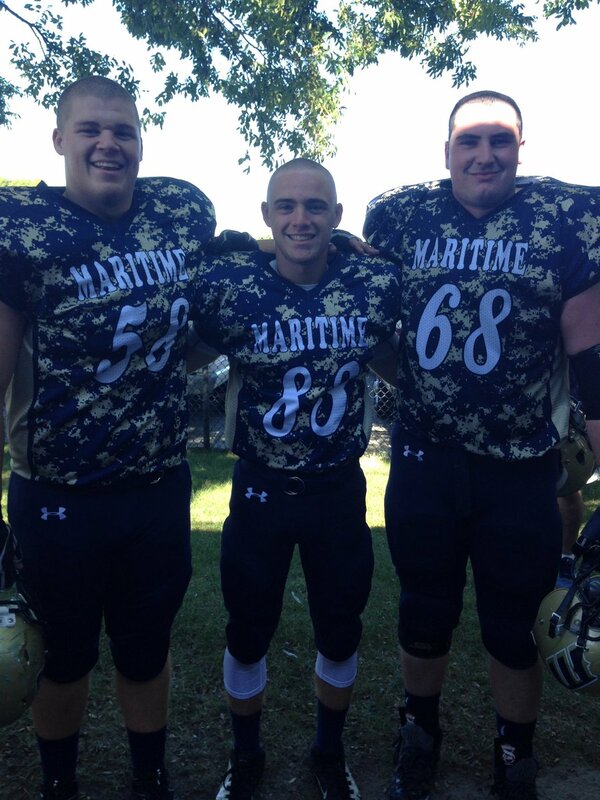 KP Football Alumni James Cooke, Leo Munafo & Chris Winnborne are together again on the field at Mass Maritime. Follow along at http://mmabucs.com/sports/fball/index.